A layer 2 network is by design intended to exist in a local area. A stretched layer 2 network is not considered networking best practice, but there is traction in the industry to provide for it, and make it a work. Most of the technologies above have been around for a while. Not all hardware will support running stretched VLANs, an example is that Cisco Metro switches are recommended if you are considering Cisco Pseudowire-class. In a local layer 2 network, the broadcast traffic is typically contained across not many switches within a small area. Typically, this broadcast traffic will flow across Gigabit or better networks. When building a stretched layer 2 network, consideration has got to be given regards how much bandwidth will all the broadcast traffic take. A poorly designed stretched layer 2 network could soon find its WAN links saturated by broadcast traffic. Also, the cost of providing enough bandwidth to accommodate all the inter-VLAN and broadcast traffic needs to be carefully measured. Usual networking best practices apply regards keeping the number of devices on the layer 2 networks down to a reasonable level, so as to reduce the amount of broadcast traffic, and where possible implement VLANs to break up broadcast domains. The desired response times from devices in either side of the layer 2 network, will dictate how far it is possible to physically separate the local segments of the stretched layer 2 network. Every device (hop) in the path from side A to side B, will add an element of jitter, and additional latency. The minimum MTU of devices across the layer 2 network is very important. Every device should be set to the same MTU. 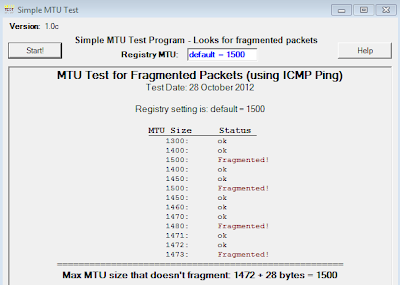 If a device sends packets with a larger MTU than another device, this introduces fragmentation of packets, and more delay to their successful delivery. 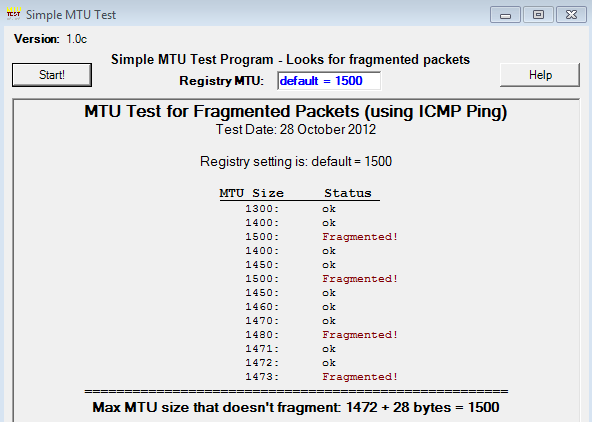 In the above example, we see that setting payload size to 1473 causes the sent packet to be fragmented and not delivered. Setting the payload to 1472 meets with success! The industry drive for stretched layer 2 networks comes mostly from the cloud and the desire for on premise networks to be stretched into the cloud for possible migration strategies or to elastically take advantage of provisioning additional resource. Another driver is for moving servers with legacy applications on, and which may not take kindly to having their or other device IP addresses changed. Personally, I would avoid wherever possible!